4" webbing has 20,000 lbs. breaking strength. Working Load Limit: 6,665 lbs. 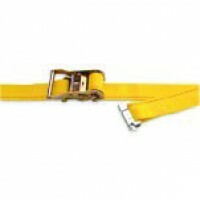 Webbing comes with standard flat hook. These products are designed and built to meet the highest standards in the industry. 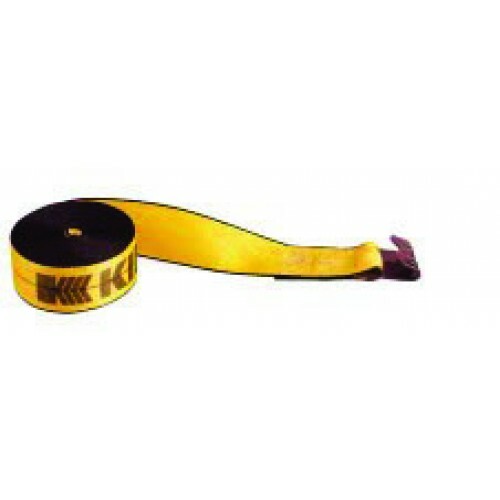 In choosing a strapping and tie down product, it is important to determine the suitability of the product for your particular use. Heeding the strength capacities of product components is important to insure that any particular product will be capable of handling the load it must secure. We believe the user must be responsible for, and understand, the correct application and strength of the products purchased. 4" webbing has 20,000 lbs. breaking strength. Working Load Limit: 6,665 lbs. Webbing com..